State mandated Spinal Screenings for 5th Grade Girls will be conducted on April 3rd, at Lansberry Elementary. Lansberry Elementary will do spinal screenings on 5th grade girls on Wednesday, April 3rd, 2019. Boys will be screened one time at the age of 13 or 14 ( or fall semester of grade 8). Trained screeners will check your child for signs of spinal problems like scoliosis. Catching a spinal problem early can make the treatment much easier. Not treating spinal problems can lead to serious health problems. The screening is simple. Screeners will look at your child's back while he or she stands and bends forward. Girls should wear a thin t-shirt or a sports bra or a two piece swimsuit top underneath their shirt that day. If girls are wearing a sports bra or a two piece swimsuit top underneath their shirt, it is recommended they remove their shirt for the screening. Boys and girls will be screened separately and one at a time. 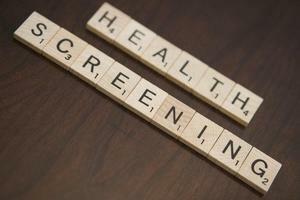 Your student will be receiving a letter to bring home to you concerning the screening. If you do not wish to have your child screened for religious reasons, you must submit an exemption to the school no later than Wednesday April 2nd. If your child does not pass the screening, you will receive a letter telling you how to follow up with a doctor.